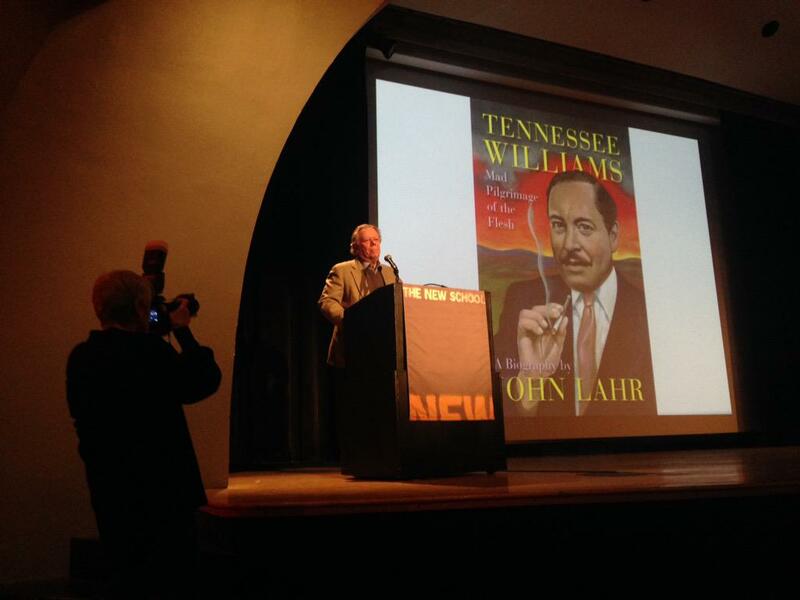 John Lahr's grand and enthralling biography of playwright Tennessee Williams, Tennessee Williams: Mad Pilgrimage of the Flesh, received the National Book Critics Circle (NBCC) Award in Biography at a ceremony at The New School in New York City on Thursday, March 12th. The same day, Lahr was also named winner of the Harold D. Vursell Memorial Award from the American Academy of Arts and Letters, for "a writer whose work merits recognition for the quality of its prose style." Lahr, who has captivated readers for more than two decades with his theater reviews and profiles in The New Yorker, put a dozen years of research and writing into Tennessee Williams in order to reveal the tortured mind and complex genius behind his subject's tempestuous life. Other finalists in the NBCC Biography category include Ezra Greenspan for William Wells Brown: An African American Life (Norton), S.C. Gwynne, Rebel Yell: The Violence, Passion and Redemption of Stonewall Jackson (Scribner), Ian S. MacNiven, Literchoor is My Beat: A Life of James Laughlin, Publisher of New Directions (Farrar, Straus & Giroux), and Miriam Powel, The Crusades of Cesar Chavez: A Biography (Bloomsbury). Lahr, son of legendary actor Bert Lahr, leapt to the stage as soon as his name was announced. Although he has spent most of his own life in the audience with his critical eye trained on the actors before him, he explained, "It’s really tough to keep a Lahr off the stage."